Dr. Behnam will meet with you. The consultation for Laser is complimentary. You will have the opportunity to discuss what bothers you about your skin. He will then examine your face and explain the various treatment options available. He will tell you if the SmartXide Dot Fractional Resurfacing laser is right for you. If Dr. Behnam thinks you are a good candidate, he will explain the entire procedure in detail, step by step. He will show you pictures, testimonials and videos. You will have opportunity to ask as many questions as you like and will make sure you feel comfortable, knowledgeable and educated when you finish your consultation with him. Why should a Doctor do the laser procedure and not a technician? Each skin has its own shade of color. 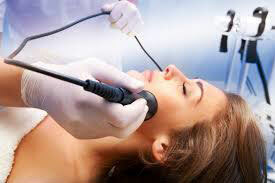 The intensity of laser and the depth of the intensity must be calibrated by a trained physician and not a technician. Severe burn and unrecoverable skin damage might ensue if the laser intensity is not calibrated correctly for the right color of skin.